That log home would make a perfect place for weekend escapes or to host family getaways. Winter offers seclusion, beauty, and deep rest. If this is your dream, Northview Bank will help you get there. Log home financing can be a tricky business, but at Northview Bank, we are well equipped to handle it. The biggest challenge in getting a log home financed has to do with appraisals. A typical appraisal includes at least three comparable homes that have sold in the same area in the past six months. With the limited number of log homes in an area, such sales can be hard to find in close proximity to the anticipated building site. Large metropolitan bank underwriters are used to city developments with hundreds, if not thousands, of like properties in close proximity to each other. These underwriters may not approve like properties more than a few miles from each other since they are not familiar with the rural markets. Northview Bank retains in-house appraisal underwriting. As a result of this we can allow the expansion of the appraisal search into like rural markets. It is easier for Northview to understand the rural Minnesota markets then it is for underwriters on the East or West Coast or in a metropolitan market. Log homes are sometimes overbuilt for the area, creating valuation issues for an appraisal. This is a problem we are well equipped to identify and help you make a decision on. Northview Bank is willing to work with customers in obtaining appraisals and per plans and specifications prior to hard commitments to make sure valuations will not be a problem. Construction loans for log homes may run higher than normal stick-built homes. This is a result of the handcrafted nature of these homes, including hand-scribed logs, in-wall electric and plumbing, window and door slide headers, and screw leveling systems. Each of these elements requires special expertise and limits the number of contractors in an area that specialize in this type of construction. At Northview Bank we work with the customer to ensure they have proper reserves and down payments prior to undertaking such a project. Down payments and reserves may include land values or improvements on property currently owned, cash down payments to purchase real property or materials, and cash reserves. Another big question is when should I apply or get my construction loan? Since it can be difficult to obtain title insurance lien coverage once a project is started, it is best to begin obtaining a loan commitment a month or more prior to breaking ground. This will allow time for lender approval, completion of a proper appraisal, and title work. Though Northview Bank will always speed this process along as much as we can, it does take some time for contracted appraisers and title companies to complete their research and get final appraisals and title work back to the bank. 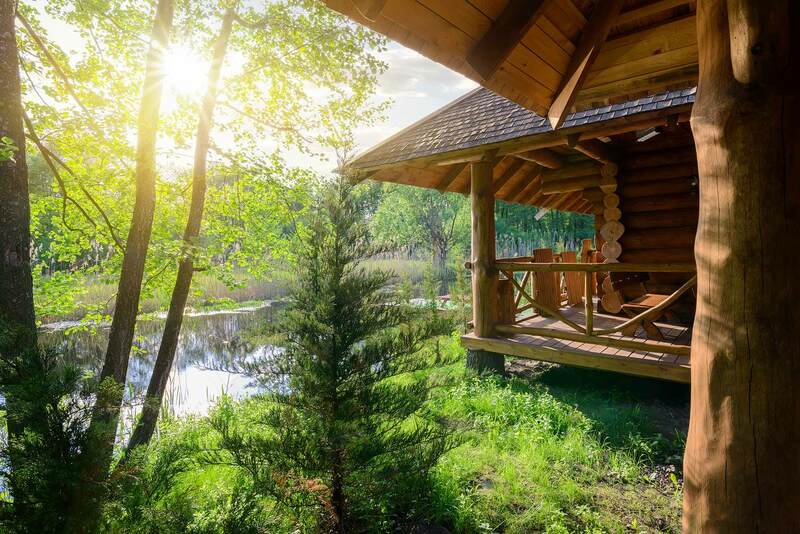 Whether you are looking for the ultimate sportsman’s cabin, a lake cabin to eventually retire to, or just to build a second home in Northern Minnesota or Northern Wisconsin, Northview Bank will help you finance it—click here to get prequalified.